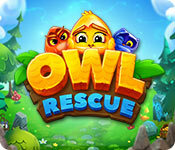 Owl Rescue is rated 2.8 out of 5 by 10. Rated 5 out of 5 by NVANDEN from Challenging & Different I read the reviews of it being too challenging and that they didn't like the limited moves (that is how I usually play a game if I have that option!). I am not sure what other people are looking for but I don't want a game that I beat in an hour trial. There are a lot of levels (I am on 36 so far!). The music that I originally thought was annoying I don't mind now. The owls are cute. Challenge yourself and give it a try. I am happy about my purchase and you will be too. 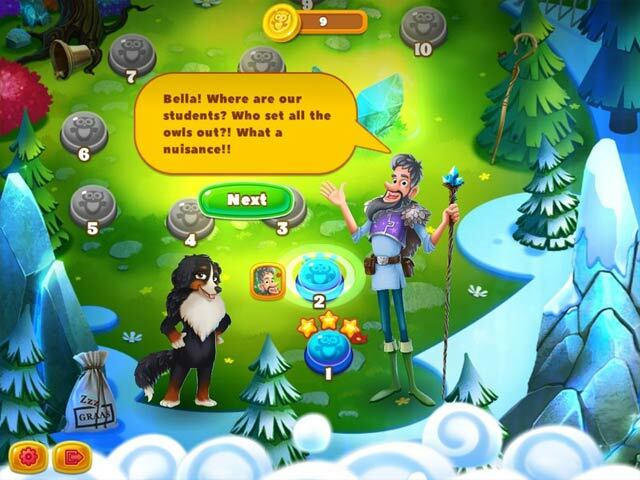 Rated 4 out of 5 by Lyndy20 from Cute and different This game looks cute; the owls are cute, they animate which is cute. A great game to play with youngsters, one would think, but it does get challenging very early on. It's a limited moves game, which I personally like. There are also some interesting mechanics that I don't think I've seen before, that add to the challenge. There are boards where tiles rotate, boards that split up, merge then split again, columns that rise up and down. While all that is going on, there are different objectives to meet, like dropping items to the bottom, creating and using x amount of bonus items, collecting required amounts of envelopes, freeing owls trapped in cages, which blocks movement, all within x amount of moves. However, the game starts off with a decent supply of spare extra moves, free turns and a staff - a hammer like bonus. Bonus items also appear on the board. You earn money which can then be used to buy items. There's the occasional Hidden Object to find. This comes in the form of a quest where you search for an item on the map as you move along the levels. All in all, a busy game. I only gave it 4 stars because at the end of the demo I felt exhausted, rather than excited, lol! Maybe it was the day I had. So, if you like limited moves and a challenge give this a go. Rated 4 out of 5 by brimaz from IT'S FUN, BUT.... This is an oddly compelling game - amusing characters, interesting gameplay, but extremely difficult to get through the levels in the number of moves allowed. This is the reason I don't usually buy limited move games, but for some this will be a great addition to their match-3 collection. Had the number of moves been a little more realistic I would have jumped to buy it, but sadly, it's too frustrating for me. Rated 3 out of 5 by SynthpopAddict from "We Ran Out of Ideas" [review based on completed game] Pros: cute graphics/music, good challenge, powerups readily available, a few new features as compared to earlier games by this developer Cons: no playing instructions, limited moves only, can't make moves all the time, all levels starting at level 105 are cloned from earlier games If you haven't played either Penguin Rescue or Pretty Snails, this game is the best of those games. 150 levels with some additional features added into the first 100 levels of the game. The powerups are also more readily available and you can now create separate player profiles and restart the game over and over without having to do a file folder workaround. For some reason, there are no playing instructions, so if you don't like to figure out what all the powerups do on your own or you haven't played any other games from this dev you'll likely get confused since it's limited moves all the time. 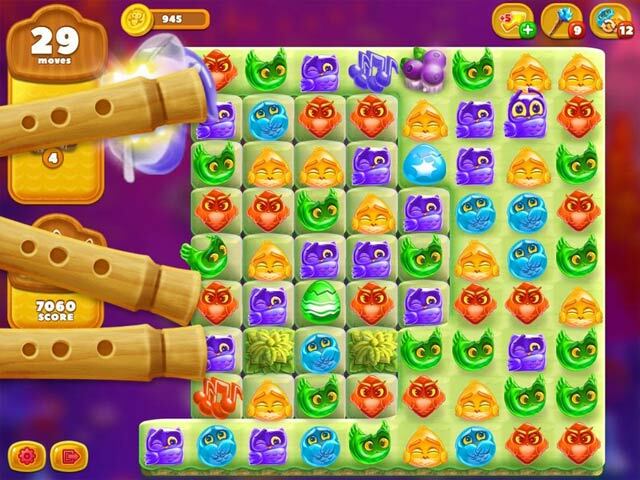 A key part of the strategy is to use the powerups carefully and also to combine them for better effects at the right time. I found the interface and music really cute, but the music is on a short loop and got monotonous after a while, so I ended up shutting it off about halfway through the game. However, my biggest disappointment with the game was finding that all the levels after 105 are exactly the same as in Penguin Rescue and Pretty Snails! I can't figure out the logic behind this, as it would have been much better to simply end the game after 105 levels if there wasn't going to be anything new by that point. I made myself finish the game, but am not going back to get all the rest of the stars since I pretty much know how to do it already. If you don't have the earlier games, this is definitely worth a look, but if you do have the other ones, it's up to you whether you want to keep on doing the same thing. I'm keeping quiet on the "recommend" button. Rated 3 out of 5 by azenalyn from Fun but frustrating As a casual gamer, I don't like timed or limited move games. I couldn't get past the 1st level. I will try again but from the limited time I did play it appears they want you to spend money for extras which I will not do. I am disappointed because it is fun to play but like the other reviewers, too frustrating. If you're willing to fork out money, go for it. Rated 3 out of 5 by catlynn54 from Limited enjoyment due to limited moves I found I was unable to complete the first level without using powerups, due to the limited number of moves. The game itself would be wonderful if there was a way to remove the move limit as an option. Otherwise this is a frustrating game for me. The storyline is cute, graphics are nice. Rated 2 out of 5 by znowflake from Cute but too hard I like the concept of this game. Its cute and different, but the game is too hard. I had problems completing even lvl 1 and it doesnt get any easier. Shame, because i think i would have really like this game, had it been easier to play. Rated 1 out of 5 by campingramps from Don't bother trying to rescue these owls This is one of the worst match 3 games I have tried to play in a long time. Almost impossible to beat this and there is no help or tutorial at all. Very frustrating and I don't understand any rating over 2 stars. This is a definite leave alone game. No recommendation here. Rated 1 out of 5 by mcf1 from Skip this one Love Match 3. This one, however, is not fun. It's a redo of Penguin Rescue. Like that one, the graphics are cute. But this is absurdly difficult from the beginning. 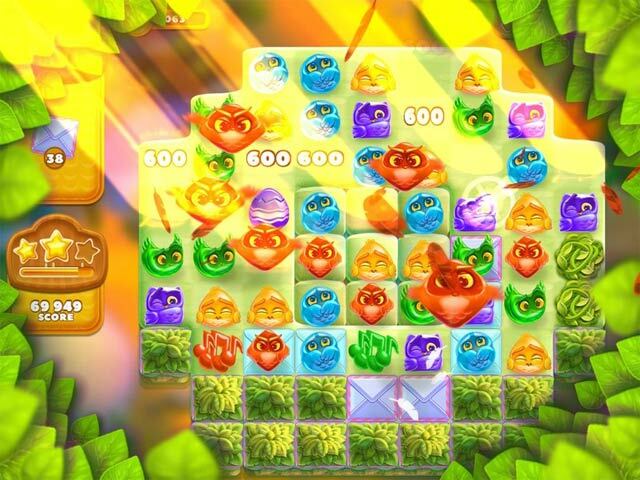 Three major frustrations: (a) no help system to teach what combinations will produce what powerups (which become immediately important because you MUST create certain powerups to get past levels), (b) a limited moves game and (c) a constantly shifting board, which makes getting matches in the limited time almost impossible. Skip this one and look at Feathers and Claws, out today. MUCH more fun.